I'm a sucker for anything army-green and military inspired! Last week, I stepped out in pair of cropped khaki trousers and a lightweight blouse from BCBG. 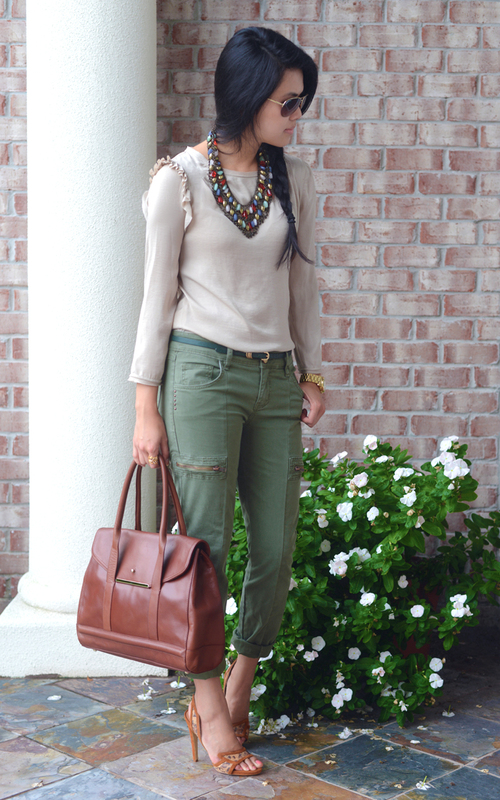 This casual outfit was styled with a beaded statement necklace from Find Ferns, Aperlai suede heels, and a Tre Vero leather handbag. Have a great week everyone!! Follow me on Instagram(@behinseams) for more of my daily photos!